Our final article in this pricing strategy series is on price segmentation. This is where you offer the same product or services but at different (or unique) prices to different types of customers. This pricing strategy has proven to increase overall profit and revenue, especially in industries with high fixed cost structures. Imagine you have a product priced at $10. Some potential customers may see this price as too high and never convert. Other potential customers may be willing to pay $15. If you only set the $10 price, you lose $10 from the people who won’t buy, but at the same time lose $5 from the people who would have paid more, for a total loss of $15. But if you have 3 prices, $5, $10, and $15, you get the $15 from the higher price segment, plus the $5 from the lower price segment, and you end up with a total of $20. At first glance, it may seem there is no way this can work. But think about the airline industry. Will price segmentation boost profitability? With segmentation, a variety of prices are offered for the same seat on a flight - the seat is the same, but the price varies based on the type of customer making the purchase. This is pricing based on customer segmentation and the impact on the bottom line can be huge. Customers can be segmented by volume, attribute, service offering, time of purchase or time used. 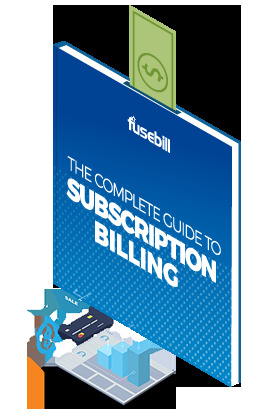 From a billing perspective, your system will need to set different attributes for customers and apply price changes and discounts to specific segments. Channel purchase – For example, online vs. in-store purchase. Customers who purchase online can be offered a lower price because the cost to serve this purchase is lower. Time used – For example, many resorts charge more for their vacation packages depending on the time of year. Frugal travelers will travel to sunny destinations in late March for better deals while other travelers will pay more to get away from the January deep freeze. Time of purchase – For example, many items are priced higher before the holidays and drop in price after. In the fashion industry, fashionistas will pay a premium to wear the latest styles while those on a budget will wait for the end of season clearances. Location – For example, theaters and concert venues charge based on how close you are to the stage. Volume – This one is very common, the larger the volume you order, the lower the price per unit. Attribute – For example, first class vs coach or hardwood vs laminate. Service offering – For example, a plane ticket that is non-refundable is usually less expensive than one that is fully refundable. This is not meant to be an exhaustive list of the applications of the segmentation pricing strategy. If you have any other examples, please add them in the comments. Dilution: It’s possible that customers who would pay your higher price will find ways to buy at your lower price. Backlash: If you’re not careful, higher paying customers may not see the value they are receiving from the premium price they are paying and will feel taken advantage of. Make sure to keep perceived value in mind when creating and promoting your segmented prices. Stagnation: Don’t make the mistake of implementing your pricing strategy and forgetting it. You should always be researching and exploring new ways to add value to your product or service. Used properly, the segmentation pricing strategy can be very beneficial. However, it’s not the best fit for every business, so make sure it’s right for your company before selecting a pricing strategy.